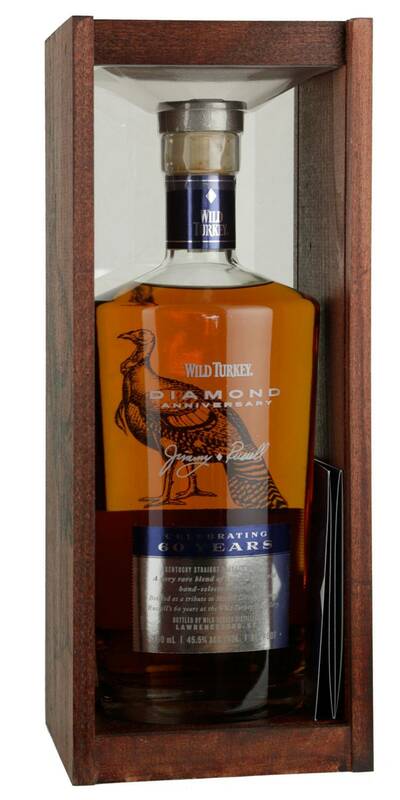 Wild Turkey Diamond Anniversary Bourbon is honoring Jimmy Russel's 60 years at Wild Turkey. It is created from 13-16 year old bourbons and features honey, dried apricot, brown sugar and sweet vanilla notes. 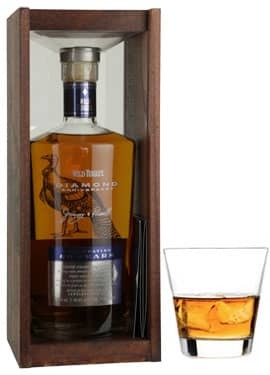 Wild Turkey Diamond Anniversary bourbon is a beauty with bright, clean flavors but lingering complexity.